Have limited expendable income and a mid-range credit score / a brief credit history? Depending on your answer to that question, one of the two cards I’m about to review will be the best fit for you. Additionally, there are a few criteria that went into these recommendations. First, the cards in question had to offer a purchase eraser feature. Why is this important? Most rewards cards allow you to earn points on everyday purchases, then redeem those points for free flights. However, with some cards, it’s not as simple as just booking your flight as you would normally and paying with your points. Many airline-branded cards, as well as some non-airline rewards cards, require you to book through their own proprietary booking system. These systems may or may not allow you to pick from the full range of flights available, and could be subject to blackout dates, inconvenient departure times, etc. For example: the Chase Sapphire Preferred card is a popular choice for beginners in the world of points-hoarding. It awards you $.0125 for each point you redeem through their Chase Ultimate Rewards portal, which is a great deal. 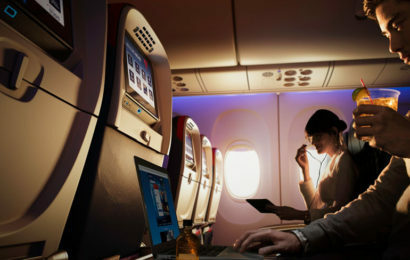 It means that if you have 50,000 points on your card, you can redeem $625 dollars worth of flights through the portal. However, the portal itself doesn’t always have the lowest available fares versus sites like Kayak or Priceline. Richard Kerr over at The Points Guy explains in more detail. Even more importantly: sometimes, buying a flight with credit card points books you into a fare class that doesn’t qualify for award miles or qualifying miles. This could mean that you don’t get to apply that flight towards your elite status qualification – which is a big waste of flight time, since elite status qualification is crucial for earning free flights in the future. A purchase eraser allows you to book a flight with your credit card, just like a normal retail flight purchase, which ensures that you qualify for all the normal award and qualifying miles you deserve. To the airline, it’s just a regular, full-fare purchase. But to you, it’s a free flight, since you can immediately turn around and delete the flight cost from your credit card bill. Ain’t that wonderful? Second: these cards have high points yield for relatively low fees and minimum spends. English translation: you don’t have to spend a lot just for the privilege of using the card, and you don’t have to spend some crazy-high amount of money within the first few months of owning the card to qualify for their lucrative sign-on bonus. For example: the first card I’m going to recommend is free to use (no annual fee), has no foreign transaction fees, and only requires you to spend $1,000 on it within the first three months of ownership to net 20,000 points as a sign-on bonus. Here’s the one travel rewards credit card you should get if you don’t have a lot of money: The CapitalOne VentureOne Rewards card. You get 1 point earned for each dollar you spend. Each point is itself worth 1 cent towards free goods, like flights. So, 20,000 points is $200 towards a free flight. 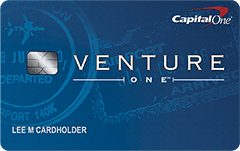 Why the CapitalOne VentureOne Rewards card? It has no annual fee, so you don’t have to pay money just for the privilege of using the card. Capital One uses the wonderful purchase eraser feature, so you can book flights through regular booking sites, in regular fare codes, and not miss out on the awards miles and elite qualifying miles those fare codes convey. You earn a 20,000 miles bonus after spending $1,000 in the first three months of ownership. That’s a decent glut of points for a relatively low introductory spend. If you’re an average joe like me with basic bills like rent, car, loans, groceries, etc., $1,000 in three months should be no problem, especially if you’re following my guide on how to earn airline status without flying every day. The aforementioned Chase Sapphire Premier card is can actually be a better option for beginners of slightly higher net worth. You get 50,000 points after putting $4,000 through the card in the first three months, which as discussed above, sets you up for a HUGE return of $625 in fare. That’s enough for a business class transcontinental flight in some circumstances. Why didn’t I recommend the Sapphire Premier? Only because I feel like most people will fall into the lower-cost category of the VentureOne, or the high-cost category of the next card I’m about to recommend, rather than the middling category of the Sapphire Premier. But it can definitely be a great option, if it fits your finances. 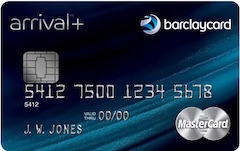 Why the BarclayCard Arrival Plus World Elite MasterCard? The World Elite MasterCard has a redemption system similar to Capital One’s purchase eraser. 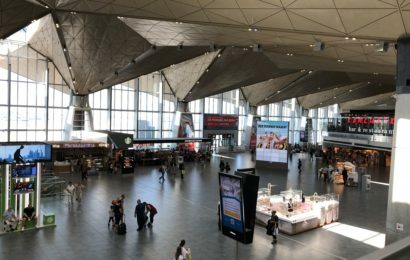 It actually gives 5% of your redeemed points back to you after redeeming; this lessens the overall cost of your flight and stretches your dollars further! You automatically get elite status with Avis, National and Sixt; if you like to rent cars after you land, this is a huge win. TPG has more info on these perks here. There’s an annual fee of $89, which is waived for the first year. Your points go away if you cancel the card, so cancelling the card to dodge the fee while still keeping the miles you’ve banked isn’t an option. It’s a MasterCard, so it’s not as widely accepted as Capital One’s Visa offering. 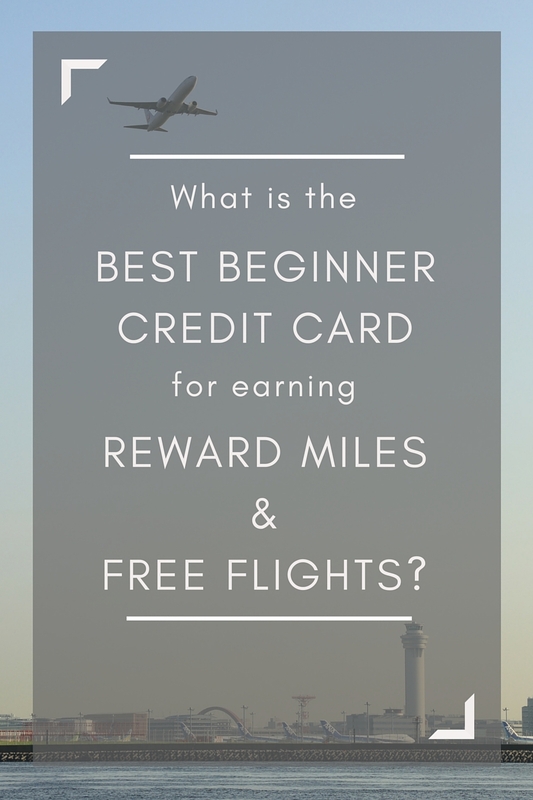 Summing Up: What’s The Best Travel Rewards Card for Beginners? After you’ve sured up your credit score, earned a sweet promotion at work, or decided that the travel lifestyle is for you, you may opt to move past these fixed-value credit cards and commit to something like a co-branded airline card. These typically involve higher annual fees but a wider variety of rewards (such as instant lounge access in airports). For people just starting out and looking to build their miles accounts quickly, choose one of these card, link up some of your regular bills, and hit that intro bonus goal. Then book your first free (or heavily subsidized) flight and get going! 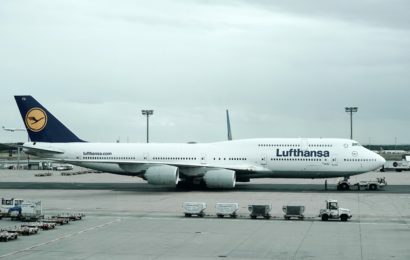 Is This Bug Keeping You From Adding Your United Mileage Plus Number to Your Lufthansa Booking? Economy class on @taportugal... oof. Every one of your destinations is a place someone else calls home. Remember this, and wander freely. TZA is designed to be a travel resource for everyday people, not just pro bloggers and airport aficionados. Email info@timezoneagnostic.com with any questions, comments or suggestions. Copyright © 2019 Time Zone Agnostic. All rights reserved.